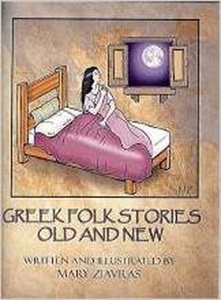 Author Mary Ziavras creates a delightful and heartwarming collection of folk stories for young and old, continuing a rich Greek tradition of oral storytelling. Daughter of Greeks born in the Turkish Ottoman Empire, Ziavras offers a unique insight into the quaint customs and beliefs of a society that was annihilated after the expulsion of two million Greeks from Asia Minor from 1915-1922. Evolved from first-hand accounts, her art of storytelling weaves humor and pathos, allowing the reader a glimpse of this vibrant society through windows to the past.